In the picture you can see ‘H’, a member of our church, himself a persecuted believer (he fled the Middle East after he came to faith). This was the first time he could safely take a photo of a table laid for celebrating the Lord’s supper! 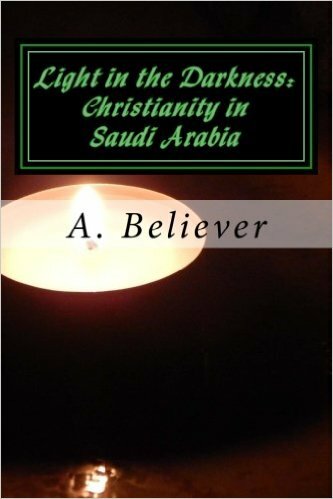 Please continue to pray for him, that he would find favour with the authorities and be granted permanent residence in Europe. Also, please pray for us as a church that we would know how always to best help those in need. 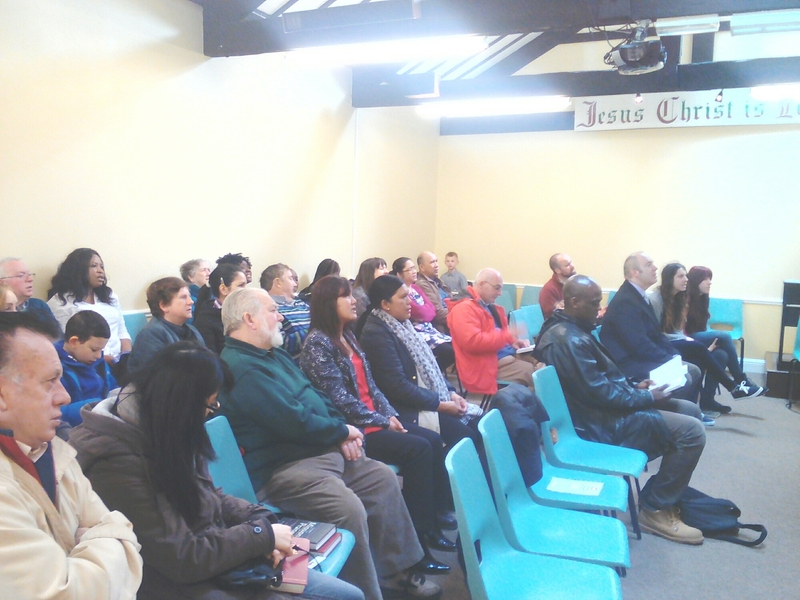 Today I had the privilege of speaking in Mallow Street Gospel Hall in Limerick, Ireland. It was a blessing to spend time worshipping the Lord in my ‘home’ church surrounded by family and friends. I preached on the need of the church to wake and arise at this crucial time in history. 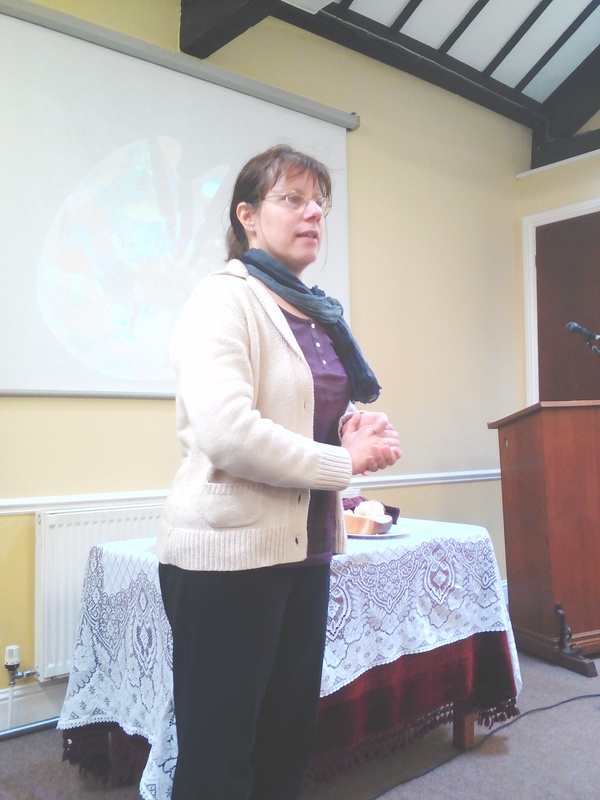 Kathy also spoke on our ministry work in Hungary. Myself and my four ladies have had a short (but very needed) holiday in Ireland. 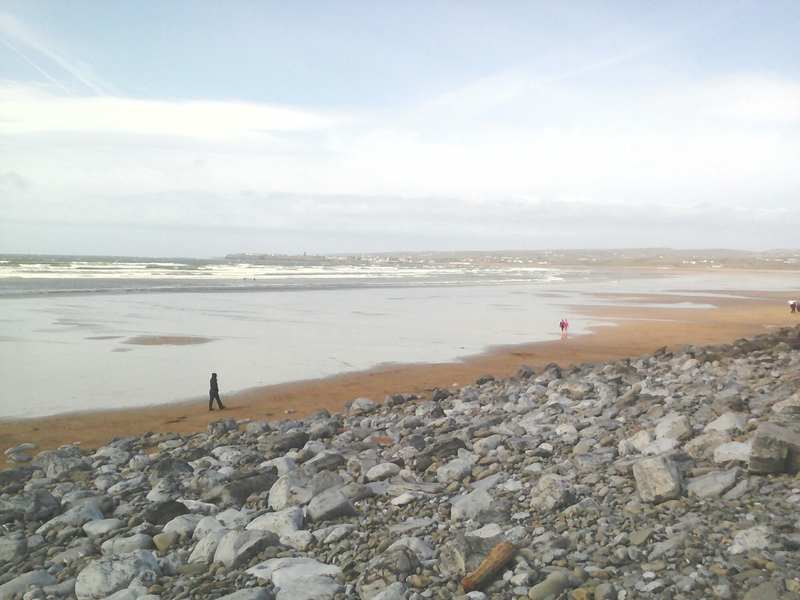 A day trip to Lehinch beach was the highlight for me even though it was very windy and cold! It was good to be home in Ireland and we look forward to going home to Hungary tomorrow. Please continue to pray for travel mercies! Happy Easter friends, He is Risen!!! Easter Sunday, March 27th, we will have the privilege of speaking in Mallow Street Gospel Hall in Limerick. If you are there we would love to see you and chat for a while. The whole family will be there and we are excited to worship together with our friends. As we will be in Ireland for only a few days we will not be available to speak elsewhere. Sorry! However if your church, Bible study group etc would like us to visit then just drop me a note and we will work something out for the next time. 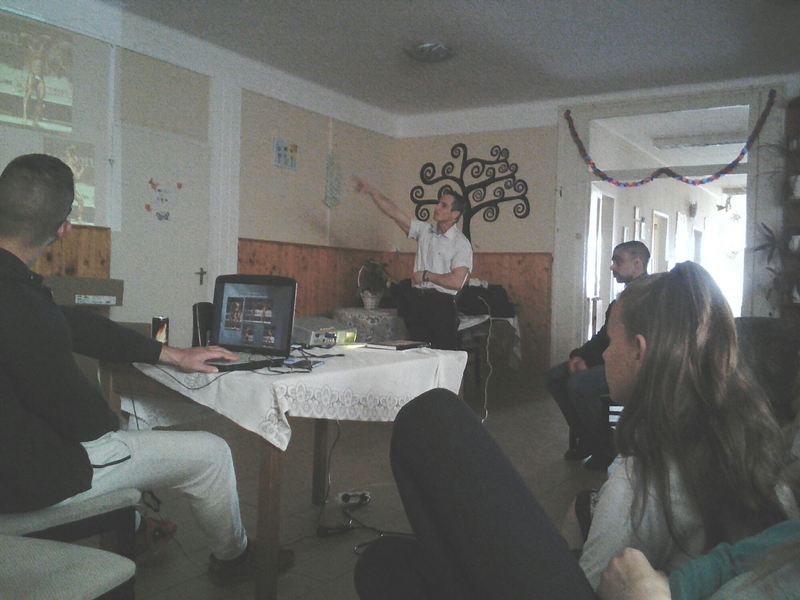 We are keen to have as many people as possible praying for the ministry work in Hungary and in the Middle-East. 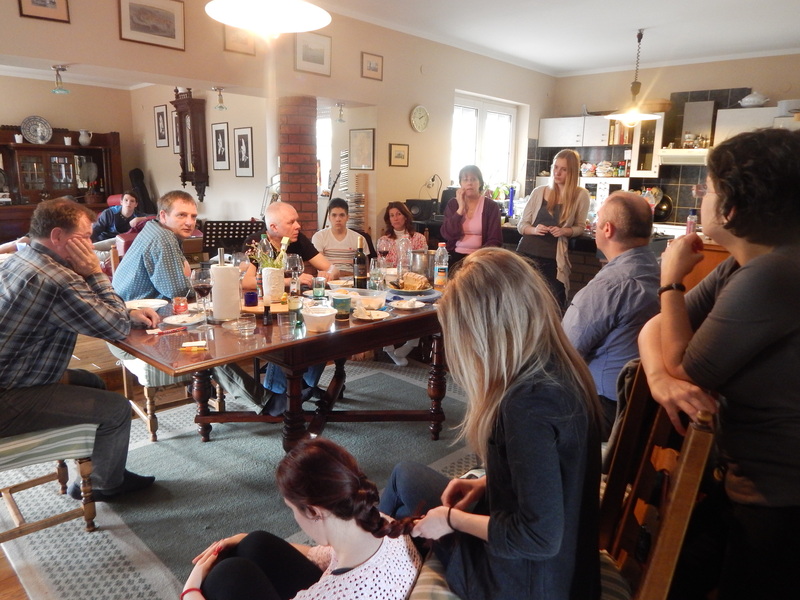 This Sunday we had a wonderful time of Bible study, prayer, worship and fellowship as we celebrated the risen Lord! We were blessed by Yoli and Zsolti leading us in worship, Katica and Kathy taught the children and Gerry lead the teaching time. We remembered the sacrifice of Christ as we partook in communion together. Afterwards we enjoyed a wonderful meal and then had a serious discussion on the direction of our group and how we can reach more people for Christ. I am so blessed by all these great men and women of Christ and I’m very impressed at how the young people are growing in their faith. The underground church in the Middle East met on Friday. Last year I was blessed to celebrate Easter with them. Please continue to pray for believers who are not free to worship Christ without fear of persecution. Today then we had the Hungarian tradition of ‘locsolás’. On Easter Monday, males sprinkle their female relatives and close friends with water. It is one of the oldest traditions and it symbolizes rebirth, purity and fertility. 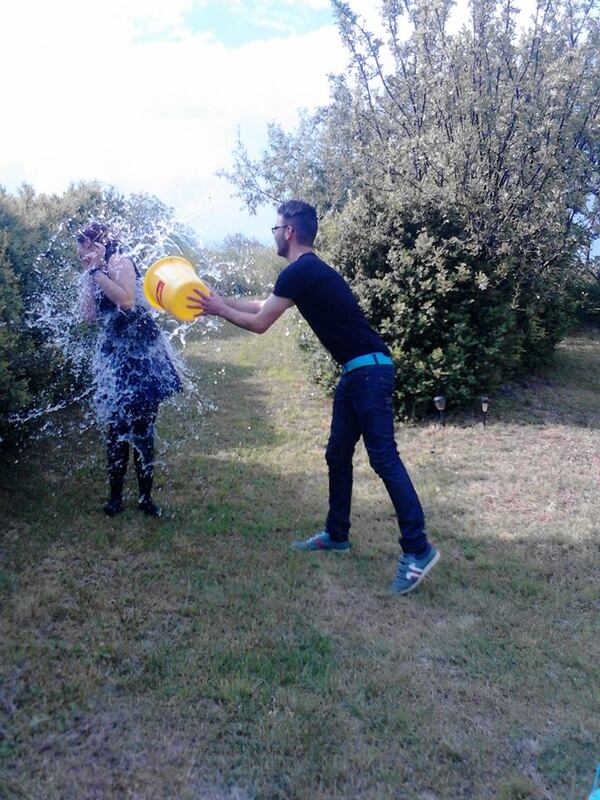 The picture below is from last year and is of Zsuzsi being doused with water by Zsolti.